Three suspenseful novels with a combined 400+ reviews for one bargain price. . .FREE to borrow on Kindle Unlimited! Solve a cold case with aspiring reporter Kris; discover the downside of fame with former reality show contestant Cassidy; and meet teenage psychic Dawn, who discovers that ESP spells D-A-N-G-E-R . . .
TWENTY-FIVE YEARS AGO TODAY — Should we dig for the truth when Pandora's Box is a coffin of buried secrets? Obit writer and editorial assistant Kris feels like the newsroom slave—that is, until she stumbles across an unsolved murder while compiling items for the 25 Years Ago Today column. Determined to launch her reporting career, Kris investigates the cold case of an artistic young barmaid who was obsessed with Greek mythology . . . an endeavor that unearths unhappy secrets in Kris's own past. Not only does Kris face resistance from her family and her managing editor, she also clashes with the victim's suspicious nephew, Eric—until neither can deny the chemistry flaring between them. Kris soon learns that yesterday's headline can pose today's danger. The Pandora's Box of secrets she opens in her attempts to learn the truth about the decades-old murder threaten to shatter her present and cost Kris her love, her career, and very possibly, her life. SINK OR SWIM — How do you call for SOS when only the killer can hear you? Personal trainer Cassidy sails into the public eye while competing on a TV game show set aboard a Tall Ship. After she returns home and catches the attention of a stalker, her well-ordered life turns topsy-turvy. As Cassidy's competitors disappear one by one, she teams up with Zach, the charming photographer tasked to record her personal moments for the newspaper. Is Zach trustworthy? He shadows her as easily as the stalker. 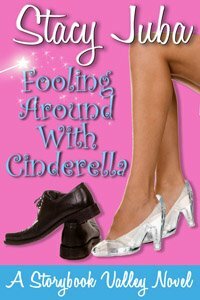 Despite the chemistry simmering between them, Cassidy fears he has a secret to hide. She hates the bizarre rules in this guessing game, but when her stalker forces a showdown, Cassidy plays to win. . .this time for her life. DARK BEFORE DAWN — If you could control minds . . . would you? When teen psychic Dawn gets involved with a fortuneteller mentor and two girls who share her mysterious talents, she finally belongs after years of being a misfit. After she learns her new friends may be tied to freak “accidents” in town, Dawn has an important choice to make— continue developing the talent that makes her special or challenge the only people who have ever accepted her. These books have made various bestseller lists including Galleycat Mystery & Thriller Bestsellers, Barnes & Noble's Mystery Bestsellers, #1 in Amazon's Women Sleuths and Romantic Suspense categories, and #1 in Amazon's Horror/Occult and Children’s Science Fiction, Fantasy & Magic categories. What are you waiting for? Download this intriguing money-saving bundle today and cozy up with a good mystery . . . or three.